Randy Marchman is responsible for the purchasing of all marine parts and managing inventory while documenting all materials that come in and out of the Huckins stockroom. Huckins has an extensive network of marine venders and we can supply our customers with any marine part at a competitive price. 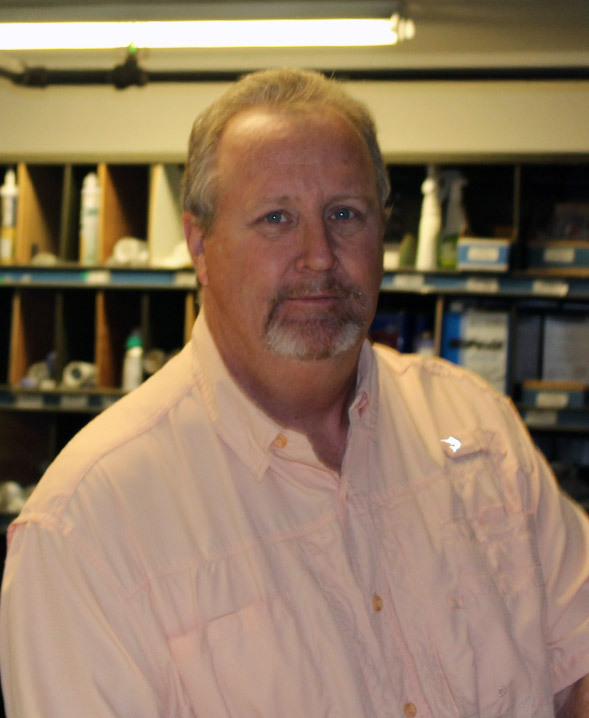 Randy utilizes his established relationships with most of the major vendors including; Donavan, Lewis, Intra Lighting, Onan, Cummins, Fire-Boy, Sureshade, and Marine Air Systems to name a few. Randy is also in charge of maintaining proper storage and disposal of all hazardous waste materials ensuring we stay in compliance with the Environment Protection Agency (EPA) which helps us make sure we maintain our Clean Marina & Clean Boatyard status. Prior to joining the Huckins team Randy served in the US Air Force as a Communications Electronics Specialist and lead technician for the Air Force Operational Test and Evaluation Team at Kirkland Air Force Base in Albuquerque, NM. Randy is a Jacksonville native and a die-hard sportfish angler and avid boater spending as much time on the water as possible.